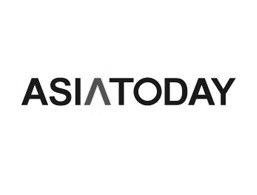 By AsiaToday reporter Jina Koh - Content war is getting tough. Chinese internet giant Tencent Holdings is conquering major Asian markets with WeChat and JOOX, taking on its Western competitors. Tencent recently unveiled a new suit of cloud-based smartphone apps that allow users access without requiring storage space on their smartphone. The company calls the concept "Mini Program," and it's actually a new app platform. To find Mini Programs, users will have to scan QR codes or discover them via search results. These apps work like Apple's App Store. The reason behind the launch is because Tencent's messaging app has a huge number of users. WeChat has 768 million daily users, half of whom spend at least 90 minutes per day on the service. Therefore, securing the number of new service users won't be hard. In the ever-expanding Asian digital music market, Tencent has quickly established a bridgehead with its JOOX music-streaming service. Its service has recently expanded to India, and is already a hit in Hong Kong, Thailand, Malaysia, and Indonesia. According to a recent report by research firm McKinsey, the Asian streaming music market is growing rapidly. Already in 2014, streaming surpassed download revenue, and now 56% of digital music revenue in the region comes from music streaming. The report predicted that the number of streaming music subscribers in Singapore, Hong Kong, Thailand, Malaysia, Indonesia, and the Philippines combined could almost double to 87 million by 2020 from 47 million in 2015. Tencent recognized Asia's potential to expand even further as the region has 44% of all internet users, and 25% of global GDP. Experts believe that Tencent's music ambitions will muddy the waters for Apple Music and Spotify in key Asian markets. It's because although they are already available in the region, Tencent knows Asia better than foreign competitors. 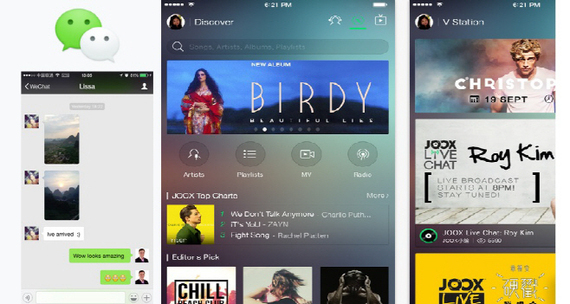 Tencent knows that Asian consumers aren't very willing to pay for streaming music services. As Tencent is planning to introduce new monetization methods like selling digital currencies instead of subscription fees, its competitors are likely to fall behind in the price competition as a result. Tencent bought China Music Corp., valued at roughly $2.7 billion, last July. "We are trying to find new things to do that is still alongside entertainment, and we picked music," said Poshu Yeung, vice president of Tencent's international business, in an interview with media. According to him, music is "very universal." In addition, Tencent believes that Asia, not the US and Europe, will be the focus of business expansion due to cultural similarities. 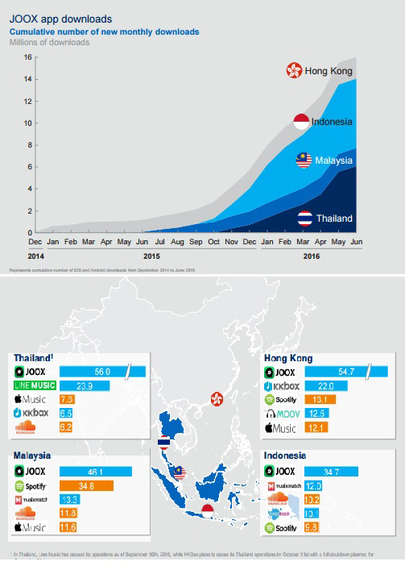 Currently, JOOX has a market share of over 50% in Hong Kong and Thailand, and is also topping in Malaysia and Indonesia. It has been downloaded more than 50 million times. In fact, overseas players such as Apple and Spotify are in an unfavorable situation in the Asian market. According to McKinsey analysis, Asian market has relatively high content costs and low advertising prices. Besides, consumers in Asia are less likely to be willing to pay for subscriptions. Prevalence of software piracy is also a factor pushing suppliers to lower subscription fees. As a result, Tencent's music streaming business is not yet profitable. Instead, it is raising revenues by selling ads to global brands like Adidas, Dior, Chanel, and handset makers like Samsung Electronics and Oppo. Another beneficial factor for Tencent is that most of its users are young people. It's because mobile operators are accelerating investment in large-scale infrastructure as the number of smartphone users is rising rapidly. In response, Tencent uses localization strategy by securing personalized content. For instance, JOOX provides separate and unique interfaces for Chinese, English, and Malay speakers. Even though Tencent is beating its rivals with WeChat and JOOX, there are still challenges ahead. First, it lacks brand awareness compared to global companies like Apple and Facebook. It's gaining popularity in Southeast Asia, but its corporate brand has little influence in the US and Europe. This serves as a drawback to Tencent as it can be a top priority for entering overseas market. Recently, Apple announced its entry into the entertainment business. The move can be seen as a strategy for synergy between Apple's brand and Hollywood's influence in Asia. The decline in the number of mobile internet users in Chinese market, which has already reached saturation, is not beneficial either. Half of China's 1.4 billion people are already using the Internet, and 92% of them have access to the Internet via smartphone. The market is maturing. Tencent needs to either focus on the local population or expand its corporate business. The most important factor is uncertainty in the future. So far, Chinese companies have succeeded in entering the domestic market by imitating the business model of Western tech companies, such as Silicon Valley of the United States. Tencent's market value is around $228 billion, making it one of Asia's most valuable companies. In the third quarter of last year, its online game revenues increased by 27% to RMB 18,200 million, but the growth rate was lower than that of social networks and online advertising.